If famed aviator Charles Lindbergh had not fallen in love with the daughter of the US Ambassador to Mexico, the story of Isla Espiritu Santo might be just another sad tale of extraordinary natural beauty undone. But the courtship of his future wife in Mexico instilled in Lindbergh a lasting affection for the country. So when in 1973 his friend and fellow conservationist George Lindsey invited him on a scientific exploration of the Sea of Cortez, Lindbergh jumped at the chance. The two men and their scientific team wended their way through numerous islands between Bahia de Los Angeles and La Paz, ultimately arriving at Espiritu Santo. Lindbergh was enthralled. The islands made such an enormous impression on him that during a trip to Mexico City a few months later, Lindbergh requested a meeting with the president of Mexico to discuss protecting what he now considered one of the most beautiful areas on the planet, the Sea of Cortez. Four years later the Mexican government issued a decree establishing 898 islands of the Sea of Cortez a Flora and Fauna Protection Area (Zona de Reserva Natural y Refugio de Aves Migratorias y de la Fauna Silvestre). George Lindsey, then the Director of the San Diego Natural History Museum, strongly believes that Lindbergh’s intervention helped to create the governmental awareness needed to get the decree enacted. It was a good beginning. 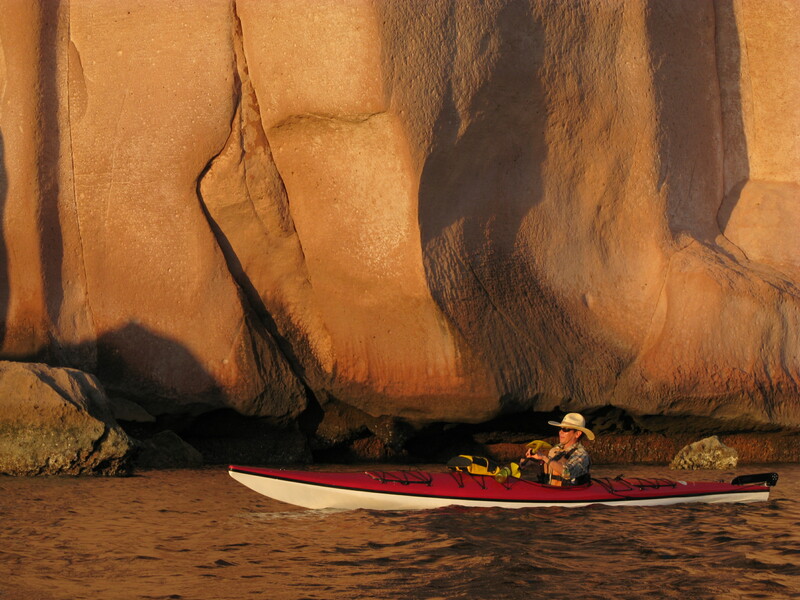 Around the same time as Lindbergh’s transformational trip to Baja, a former Grand Canyon river guide named Tim Means was setting up the first major ecotourism company in La Paz, Baja Expeditions. Means’ business thrived as word of Baja’s remarkable flora and fauna spread, and demand grew for access to the natural wonders that the area’s remote location had kept pristine long after the west coast of the US had been heavily developed. But conservation-minded eco adventurers were not the only ones attracted to the area, and by the 1990s the pressure on Isla Espiritu Santo was intense: a real estate developer wanted to create a resort casino on the island. From the outside it seemed absurd that a casino had even the remotest possibility of being approved in a natural protected area, but Mexico’s traditionally lax approach to conservation enforcement afforded the developer optimism. While most of the islands in the Sea of Cortez were federal lands, a few were privately owned, and Espiritu Santo was owned by an ejido. Ejidos, created as part of Mexico’s land reform movement after the Revolution of 1910, are rural collectives of people who own property communally. Traditionally ejidos were not allowed to sell their property, but the constitutional obstructions to ejido land sales were removed in 1992, and the ejido owners of Espiritu Santo lost little time in taking advantage of this new freedom. By 1997 they had sub-divided 90 hectares around Bonanza Beach into 36 lots and were selling them off. Cabins were actually constructed on some of the lots, but in a move that would have made Lindbergh proud, a federal judge deemed them illegal under the 1978 decree and they were torn down. But the real estate developer who owned some of the properties was pushing hard on his casino proposal. Tim Means was prepared to push back. Means started his onslaught by personally buying two properties smack in the middle of the developer’s proposed casino area. This immediately diminished the attractiveness of the project for the developer, and inclined him towards negotiation. Means then enlisted the aid of leading Mexican businessmen in the area, who retained and paid for the law firm that was ultimately able to arrange the buy out the developer and all but one of the remaining properties for sale on Bonanza Beach. This all took a great deal of time and maneuvering, but Means and his team persevered. All the properties they bought were donated to the federal government. When the immediate threat of the casino was neutralized, Means and a coalition of conservationists were able to put together a deal to purchase the rest of the island, which they bought from the ejido for US$3.3 million. Their subsequent donation of Espiritu Santo to the nation is commemorated by a famous sculpture of a dove on the malecon in La Paz. The purchase structure that resulted in Espiritu Santo’s conservation in perpetuity demonstrates the power of collaboration among a diverse group of constituents when fighting to preserve wilderness areas: about one third of the money came from Mexican funders, another third from American funders via the Nature Conservancy, and the rest through an anonymous gift to the World Wildlife Fund. The David and Lucille Packard Foundation then donated US$1.5 million towards the future management of Espiritu Santo. This type of international cooperation set the stage for future and ongoing battles against mega-developments elsewhere in Baja California Sur. 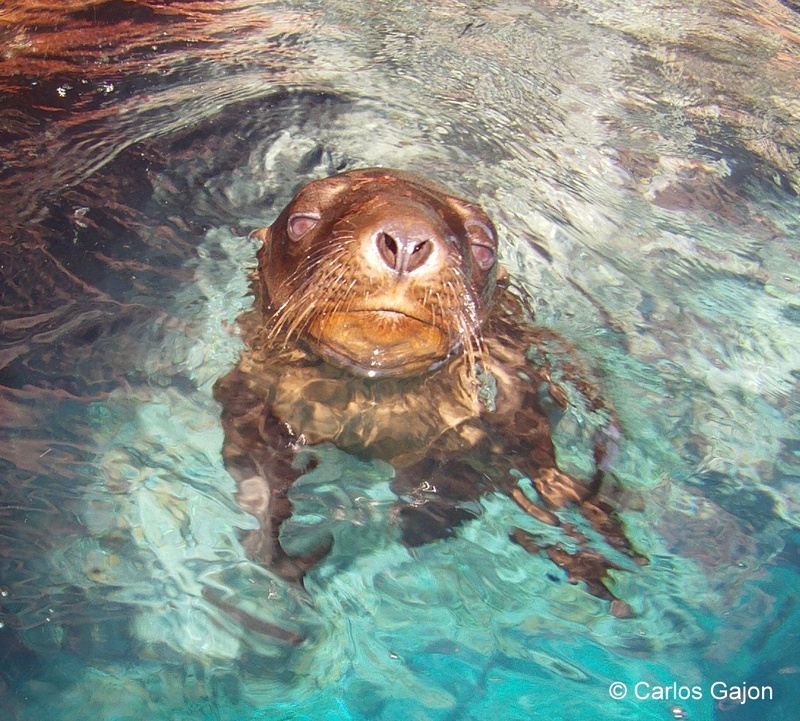 As a direct result of Means’ successful activism, Espiritu Santo and 244 other islands in the Sea of Cortez were subsequently named a World Heritage Site in 2005. But none of this would have happened without the will of the Mexican people. As a result of colonial rule, the Mexican citizenry traditionally felt they had no voice in government, so agitation for change was not a big feature of public life. But in the 1970s this started to change, most notably in the environmental arena, and Mexicans began to create organizations committed to protecting the country’s immense natural resources. This process lead to the creation of the Secretaria de Desarollo Urbano y Ecologia (Secretary of Urban Development and Ecology) in 1983, and in 1987 the general law of ecology and natural resources. One of the early successes of all this effort was the 1988 declaration of the Monarch Butterfly Biosphere Reserve in the states of Mexico and Michoacan. Worthy of Protection. Photo by Carlos Gajon. The people of Mexico in general, and of Baja California Sur in particular, are now intently focused on protecting their natural heritage. 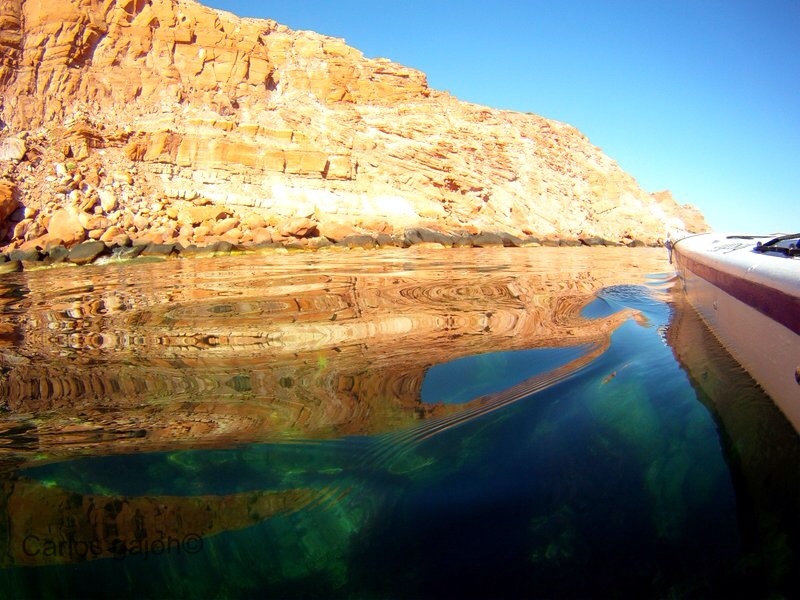 In Baja California Sur residents have banded together in recent years to defeat mega-developments in Balandra Bay, El Mogote and Cabo Pulmo, using the reach and resources of both local and international NGOs to aid their cause (See our blog post Conserving the Beauty of Baja). Public outrage and grassroots campaigning have stymied the efforts of companies seeking to operate open-pit gold mining companies in the Sierra de la Laguna Mountains. Like Lindbergh and his nonstop solo flight across the Atlantic, they are succeeding against considerable odds. Like Tim Means and his environmental coalitions, they are hunkered down and ready for the long haul. 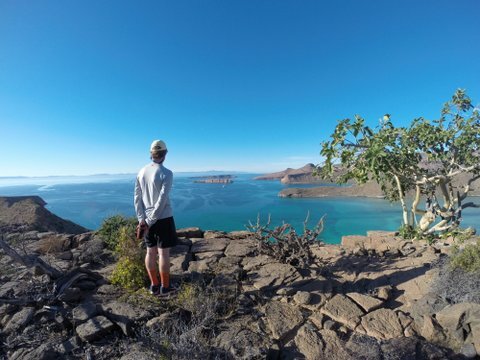 As the great conservationist Teddy Roosevelt once said, “Great thoughts speak only to the thoughtful mind, but great actions speak to all mankind.” The protection of Isla Espiritu Santo and the islands of the Sea of Cortez wrought by Tim Means and his coalition will speak to the world for generations to come. Sources: Two excellent books and Tim Means provided the source material for this article. The books are Isla Espiritu Santo: Evolución, rescate y conservación by Exequiel Ezcurra, Harumi Fujita, Enrique Hambleton and Rodolfo Garrio; and Wildlands Philanthropy: The Great American Tradition with essays by Tom Butler and photographs by Antonio Vizcaino. Todos Santos Eco Adventures operates a tent camp on Isla Espiritu Santo from which visitors can explore the wild natural beauty of the island and the Sea of Cortez. What a beautifully written article! Fascinating to learn the history of Espiritu Santo and the role Tim Means and the others have played in its preservation for all of us to enjoy. Such an inspiration for all of those who are fighting the good fight to protect and preserve all of Baja’s precious eco systems. Makes one believe in hope. You make everyone believe in hope yourself Wendy Rains. Congratulations on a long, and very successful career in fighting the good environmental fight! 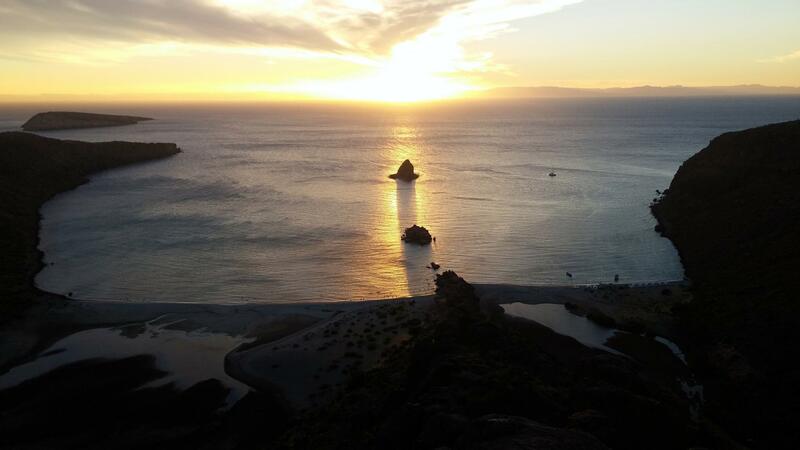 This entry was posted on April 16, 2015 by Todos Santos Eco Adventures in Adventure, Culture, Wildlife and tagged Baja conservation, Isls Espiritu Santo, Tim Means, UNESCO World Heritage Site.